I landed at Oakland airport on Friday night only five hours late, arriving from Denver, not on my original itinerary. There were small indications of trouble on that plane from the outset - a fat man in a loud aloha shirt who kept bawling inanities, a problem with one of the two toilets, the one at the front. We were told it was out of action, then - as lines grew long and twitchy at the back - that we could use it on condition we did not do "number 2" because of low water pressure. "Don't make me go in there and check what you did," said the humorist in the cabin crew. Three hours into the flight a small, elderly woman stood in the open door of the defective toilet gesturing for help. She was having trouble breathing. The flight attendants swung into action, clearing a seat at the front for her across the aisle from me, working with inhalers and oxygen tanks, parsing her limited English and her dozen boxes of pills to try to understand her medical condition. The lady was very scared. When her lips turned blue the decision was made to divert our flight to Denver. The EMTs were on the spot and wheeled the breathless woman away. We were promised a quick turnaround but - wait. Our plane was considered overweight because we hadn't burned enough fuel in our shortened flight; the mechanics were worried we had stressed the frame. And that toilet needed to be fixed. After a period of confusion we were given a new plane but no departure time. Snow was coming down hard and the clock was ticking on how long the crew would be allowed to remain on duty before a mandatory 8 hour break. After we boarded the new plane. we spent an awful hour on the tarmac de-icing and getting conflicting information. The blowhard in the aloha shirt kept yelling, "We'll be grounded! We'll never leave Denver!" He followed up these shouts with manic laughter. I finally leaned over and requested that he stop these predictions; they weren't funny any more. He wasn't happy with me but two minutes after he stopped announcing we would be grounded the captain came on the intercom to tell us we had been cleared for takeoff. After we got airborne, we were informed from the cabin that we had been "two minutes" away from being told we could not leave Denver that night. Not as eerie as another of my adventures in the Bardo of Air Travel, titles "What to Do When You Might Be Dead in Denver" that I included in my collection Mysterious Realities. But eerie enough. I had a new rowmate on the new plane, and we were sharing the empty seat between us - the only empty seat on the plane - to hold books and bottled water. When I put down my in-flight reading, a late collection of the strange stories of Jorge Luis Borges titled The Book of Sand, she laid what looked like a copy of a chapter from an academic book across it. I asked, "How do you think your text is getting along with Borges?" She had never heard of Borges, one of my favorite writers, so I had to explain how, in jeweled short-form fantasy, the Argentine writer takes us into the largest questions about reality. She now disclosed that her text - on personality cults and institutions in Latin America - was homework for a paper she is writing for a master's program. Argentina, Borges's country, is one of the case studies. And the political history of Latin America can be as fantastic as his stories. The conversation took another unlikely and synchronistic turn. My rowmate told me she had met the woman who developed a way to calm cattle on the way to the slaughterhouse by keeping them moving on a serpentine path. My mind was thrown back to a visit I made to a ranch in Mato Grosso decades ago before Temple Grandin’s work was widely known. 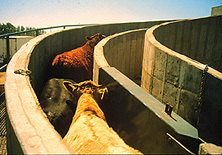 I watched cows being driven up zigzag ramps to the platform where a slaughterer waited to crown them with a sledgehammer. I described this to my rowmate. The death blow might now be delivered in a different way, but – we agreed –the approach was similar. Like snaking round and round to get on a ride at Disneyworld. Or waiting in line to get on an airplane that might or might not follow its flight plan. The Little Prince is sad. He has left his planet and the rose he cared for. Now on Earth, he is devastated to find there are thousands of roses, when he thought his was unique. He meets a strange, pretty animal that greets him from under an apple tree. It is a fox. The Little Prince asks the fox to play with him. Fox tells him, "I cannot play with you because I have not been tamed." The Little Prince does not know the meaning of this word "tamed". He has to ask three times before the fox tells him that "to be tamed" is "to establish ties." How is that done? It takes time, the fox instructs. If the Little Prince wishes to tame him, he must meet him in the meadow at a certain time every day and sit at a certain distance. Each day, the Little Prince may move a little closer. In this way, the fox is eventually tamed and is able to reveal the secret of life. It's a lovely story, from Antoine de Saint-Exupéry's beloved fable The Little Prince, known to most of us from childhood. The secret the fox is about to give is one of the great moments of clear and simple revelation in world literature. But he can only give it when he has been "tamed". Now it seems improbable that any fox would ask to be tamed in the sense of being house-broken or put on a leash or made to obey commands. The critical word "tamed" is a correct, but imperfect, translation of Saint-Exupéry's original term apprivoisé. In French, “to tame” an animal (or person) in the sense of making them submissive is dompter; to turn something wild into a domesticated being is domestiquer. Apprivoiser has a different lilt. In early medieval French usage, it means to make something less savage (but not domesticated), to make something alien more familiar. For the poet-prince Charles d’Orléans, apprivoiser is to make someone gentler, softer, more tractable. The fox tells the Little Prince that the way to bring this about is créer liens, to make links or ties. Synonyms for apprivoisier might include “to gentle” or “to befriend”. As the fox uses the word, it is about establishing the kind of connection that will make your relationship unique. Once gentled (apprivoisé) the fox is no longer one of a thousand foxes that hunt chickens and are pursued by hunters; he is your special friend. Once a rose has befriended you, it is no longer one of a hundred thousand roses; it is your rose. “Here is my secret,” the fox, befriended, says to the Little Prince. “It is very simple. You can only see clearly with the heart. The essential is invisible to the eyes." Fox has two more secrets, all of them things that humans have forgotten. I think of an old white oak, a tree that I know that knows me. Its image shines in my mind as the Little Prince’s rose shines in his. When I need to know whether other thoughts or visions are to be trusted, I sometimes let the oak rise and rustle in my inner senses, to confirm or caution. I think of the red-tailed hawk who dropped from the sky to guide me and, as I came to know, to do something more: to befriend me and, in its own wildness, to gentle me. Elle m’a apprivoisé. They say in the South Pacific that when the anthropologists arrive, the spirits leave. A notable recent exception is Sylvie Poirier, a social anthropology professor from the Universite Laval in Quebec, who has been tracking the dreaming of the Kukatja, a people of the Gibson desert in Western Australia, for many years. She won the confidence of a Kukatja grandmother, Nungurrayi, and was helped by her to understand not only what traditional Aborigines believe is going on in dreams, but how they share and honor dreams in their communities. Dreaming is a way of tending the land. A fertile country is a country of good dreamers. Dreaming is active, not merely passive. It is a form of engagement. You can decide where you are going to go, and you can go consciously. Dreaming is soul travel. A dream is what happens when an aspect of soul leaves the body and has encounters and adventures. “The spirit goes on walkabout," the Kukatja grandmother explains. In the understanding of her people, “a dream occurs when, while a person is asleep, his or her kurunnpa [an aspect of soul or spirit]related to the abdominal (or umbilical) area (tjurni) leaves the body to pursue various encounters and experiences.” A good dreamer is one who knows how to “open” their tjurni. Dreams can be shared experiences. People can enter each other’s dreams. When dreams are shared in community, it is often in the morning, over a mug of tea. Yet Sylvie Poirier found that the Kukatja are far from promiscuous in their dream sharing. They know that dreams are powerful, and that it is necessary to handle this power carefully. They also recognize that dreams can provide clues to situations that require discreet investigation. Like detectives on a case, they may be unwilling to share such clues until the case is solved. Nonetheless, Poirier heard Kukatja people open up and tell their dream narratives fluently and spontaneously in relaxed social circumstances. This is appreciated as a chance to share and enjoy some good stories. You might here someone tell a terrifying dream and get the response, "Good story (palya wangka) this one”. Dreams of any kind, told well, are appreciated for their story value, as entertainment, as well as for information. A dreamer who is specially pleased with their telling may conclude by saying, "Good story sweet as tea." While recounting a dream, the teller may be illustrating the narrative with hand gestures and by making sketches in the dry earth, so the dream is already turning into a visual and kinesthetic art form. When Kukatja discuss the meaning of dreams, they ask questions like "where, who, what, when?" Tracking routes and locations in a dream is of high importance. Where were you, exactly? 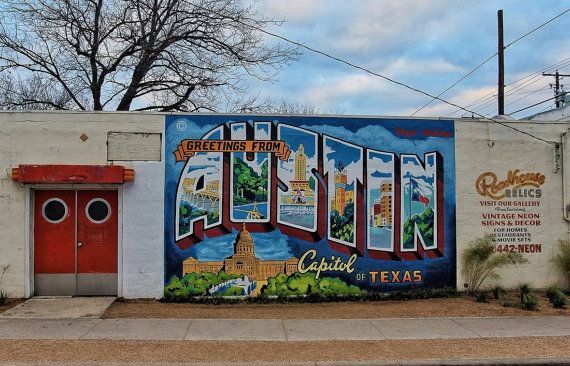 What landmarks do you recognize? Who else was there? Everyone is conscious that they are tracking where the dream soul, the kurunnpa, went in its nocturnal excursions. While dreamers make visits, they also receive visitations. So the questions may center on who came calling last night, invited or not. Dreams reveal malfeasance, especially sorcery, and a dream of sorcery may put an end to psychic attack. In such cases it may be judged highly desirable to tell everyone about a dream. A young Kukatja woman dreamed of sorcerers who are pointing the bone at her. The elder told her to tell the dream to everyone at the camp. "Outing” the sorcerer in this way was intended to scare him off. Dreams are valued as sources of creative inspiration. A Kukatja man is chased by a snake in his dream. As he tells it, he dwells on the snake’s vivid colors – and decides to use them in an acrylic painting. 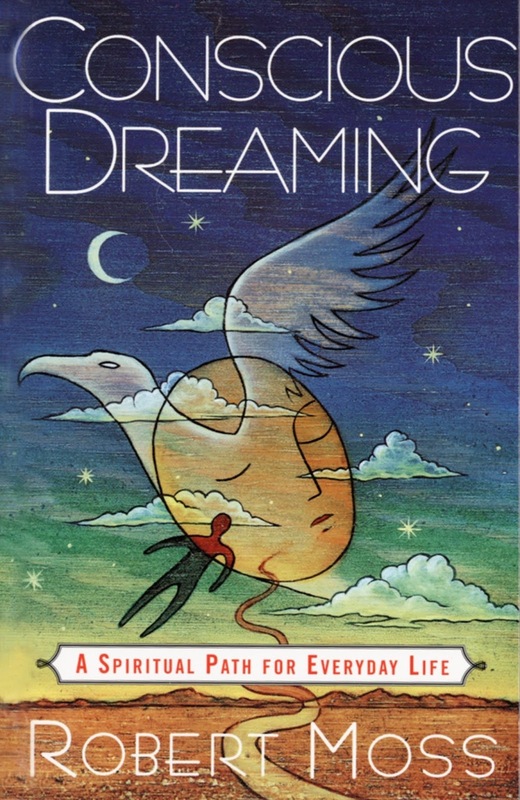 Kukatja dream sharing is directed at getting all the facts from the dream and taking appropriate action, for example, to deflect a coming danger revealed in the dream or to harness its creative energy. In contributing to discussion, others may tell dreams, stories and life experiences evoked by the first dream report. Through emerging patterns of resemblance and connection, the fuller meaning of a dream - and the appropriate action - may be revealed. Aboriginal dreamwork is an antidote to Freud, who wrote that the dream “has nothing to communicate to anyone else”, meaning that dreams are entirely products of the personal subconscious and even so, unintelligible until interpreted. Aborigines know that dreams are social and transpersonal, connecting us to other people, both dead and alive, and to the animate universe of spirits and Ancestors. Source: Quotes are from Sylvie Poirier, “This Is Good Country. We Are Good Dreamers: Dreams and Dreaming in the Australian Western Desert,” in Dream Travelers: Sleep Experiences and Culture in the Western Pacific, ed. Roger Ivar Lohmann (New York: Palgrave Macmillan, 2003), pp. 107–126. 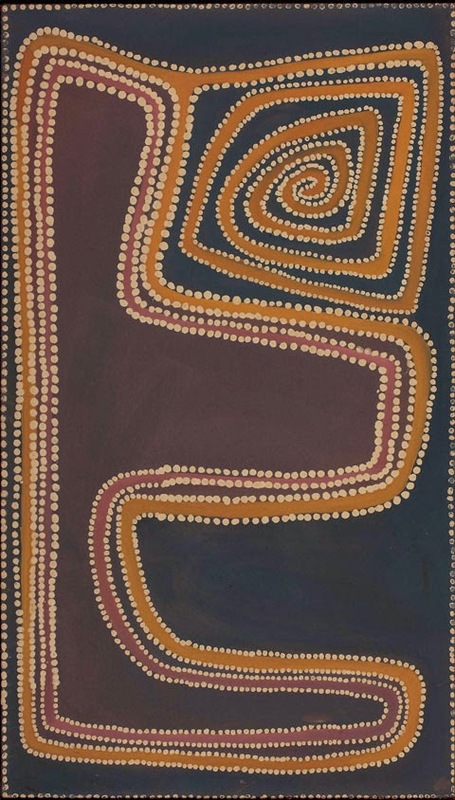 Sylvie has also published an excellent book based on her years with the Kukatja: A World of Relationships: Itineraries, Dreams and Events in the Australian Western Desert (Toronto: University of Toronto Press, 2005). Art: "Canning Stock Route" by Kukatja artist Rover Thomas. National Museum Australia. I spent a marvelous evening in Austin years ago, when I gave a talk at Book People, a fine independent bookstore. To warm things up, I asked my audience if anyone would care to define the word “dream”. I expected that someone would say that a dream is something that happens during sleep. I was poised to use a response of this kind as a launch-point to discuss the deeper and wider spectrum of dreaming. A dream is a beginning. A dream is an adventure. A dream is a message from spirit. A dream is a mission. A challenging question was posed later by a man who told us that his mother warned him not to go too deep into dreaming because "you can get lost there". She told him this had happened to her, and he saw what this could mean as she succumbed to Alzheimer’s-type symptoms over the years before her death. We discussed how older people sometimes withdraw their awareness into another state of reality, and how we can meet them there – before and after physical death – and have helpful communication. He said he intended to try to reach his mother in her parallel reality now. I hope he succeeded. I know it can be done. He kept seeing patients but stopped lecturing at the university and ceased publishing for three years, no longer confident that he could make sense of things for other people. He had no mentor now, in the ordinary world. He sought stability through his family, his continuing work with clients, through painting, and through “hewing stone,” building a miniature stone village that he thought he was making in collaboration with his eleven-year-old self. Central to Jung’s ability to restore his inner compass was his daily recording of dreams. After his break with Freud and his theory, Jung's main preoccupation was to set down an unedited, uncensored chronicle of his experiences. 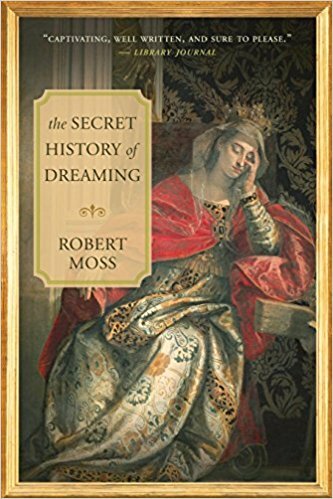 “Dreams are the facts from which we must proceed.” This was one of his central discoveries, and it is one of the most helpful statements that has ever been made about dreams and dreamwork. Let’s start with the facts of the dream, leaving aside theory until we have recovered as much of the experience as possible. In his storms of emotion, Jung sought to let images take form. Images gave him a way to work with the raw power of emotion rather than being torn apart by it. He was learning how to harvest images and rework them through what he later called “active imagination” in the laboratory of his own psyche. He recorded the facts of his inner experiences even when he found the content nonsensical, repugnant, or freakish. In this way, he hoped that instead of being drowned by the contents of his inner life, he would gain a means of navigation. Jung labeled his years of psychic struggle and self-healing his "confrontation with the unconscious". I liked the relative mildness of this term, barely hinting at the tremendous raw power of the energies that raced through our psyches like wild bulls. My own confrontation with the unconscious gave me the material for more than a dozen books and put me on the road of a dream teacher, for which there was no career track in my culture. Real magic is the art of bringing gifts from another world into this world. We do this when we go dreaming and when we remember to bring something back. In dreaming, we go to other realities, that may include places of guidance, initiation, challenge, adventure, healing. When we bring something back from these excursions, and take action in ordinary life to embody guidance and energy, that is a practice of real magic. Dreaming, as I teach and practice it, is not fundamentally about what happens in sleep; it’s about waking up to a deeper order of reality. We can dream wide awake in everyday life, by paying attention the play of signs and symbols all around us. Navigating by synchronicity is the dreamer’s way of operating 24/7. Through the weaving of synchronicity, we are brought awake and alive to a hidden order of events, to the understory of our world and our lives. I have published many books that are relevant to the understanding and practice of magical dreaming, and it is time to introduce the whole family. 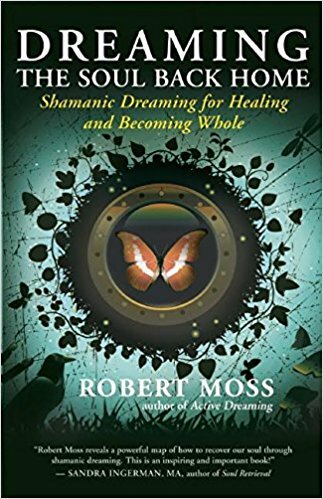 First published in 1996, Conscious Dreaming remains in many ways my foundation book, offering my original synthesis of dreamwork and shamanism. Its toolkit includes the Nine Keys to Understanding Your Dreams. Important chapters explain how we can develop our intuitive dream radar to see across time and space, engage in helpful and healing communication with the departed, encounter inner and transpersonal guides, and harvest energy and inspiration for self-healing and creativity. 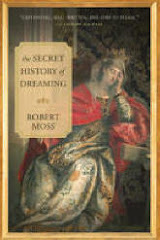 "To me, dreams are an inner authority, a creative touchstone in all things, uniting seemingly disparate matters: from career choice to the most basic economic and financial decisions that life requires of us, from the most mundane questions of being and doing, getting and spending - which they enliven and invest with new significance - to the most spiritual questions of higher purpose and self-understanding. They have brought vitality and excitement to my inner and outer life, forging the two spheres into the truth of a path with heart, the only path to walk." 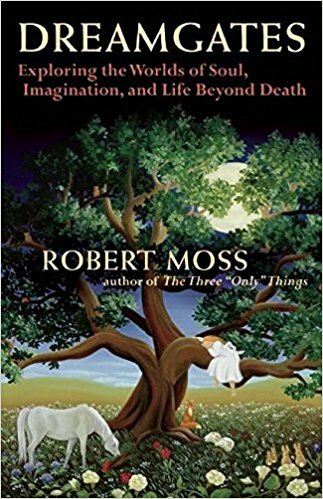 First published in 1998 and now available in a beautiful 2010 second edition Dreamgates: Exploring the Worlds of Soul, Imagination and Life Beyond Death is a lively manual for frequent flyers ready to travel far and wide in the multidimensional universe. You are encouraged to make the twilight state between sleep and awake your departure lounge for lucid dream adventures. You are offered a working anatomy of subtle energy bodies and a working geography of astral and other realities. You are invited to visit places of healing, initiation and advanced education in the Imaginal Realm and to follow the phosphorescent trails of previous voyagers. "It is always appropriate to ask for help, and help is always available. You are going on a journey, but in all likelihood you are also responding to a call — a call from a deeper aspect of your Self, a call from a spiritual teacher (perhaps even a Master) who has been watching over you and waiting for you to reawaken to the deeper dimensions of reality in which your life and your soul’s purpose have their source. Aslan says to the children in The Silver Chair, 'You would not have called to me unless I had first called to you.' You are reaching inward — or upward — to something that has been reaching to you, perhaps unnoticed by your everyday mind. Call for help to that unseen agency that supports your life, or to guides and allies with familiar names, and help will be given." 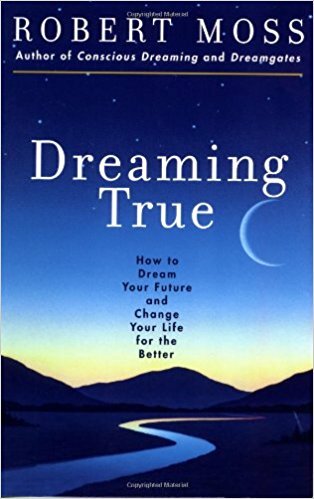 Dreaming True is my fullest guide to how, as conscious dreamers, we can not only see the future but shape the possible future for the better. It defines and explores seven levels of dreaming: dream recycling; dream moviemaking; dreaming with the body; psychic dreaming; transpersonal dreaming; sacred dreaming; and dreambringing, which is what we do when we learn to bring a dream - a healing image, a vision of possibility, even a map to the next world - to someone in need of a dream. "Let's be real about this: There will be days when the contrast between your vision and the clutter and letdowns and bruises of everyday life seems so jarringly huge that you give up hope. But this is not about hope. It's about vision, which is more substantial than hope. Hold the vision in your mind, however rough the seas turn out to be. If you can dream it, you can do it." 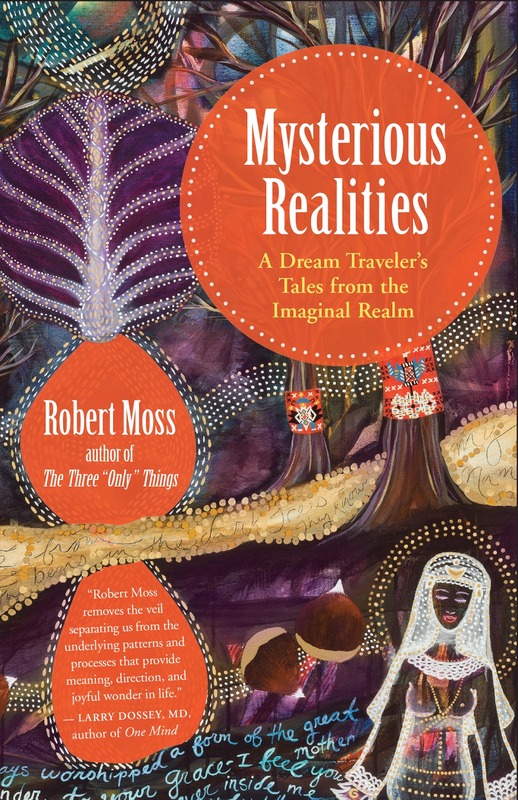 Dreamways of the Iroquois: Honoring the Secret Wishes of the Soul follows the trail that opened for me when an ancient Huron?Mohawk arendiwanen ("woman of power") called me in dreams when I moved to a farm on the edge of traditional Mohawk country. Her voice resonates through the book. We learn from the shamanic dreaming traditions of First Peoples of the Northeast that dreaming is about soul and survival. Dreams reveal the ondinnonk, the "secret wish of the soul" and it is the duty of decent people in a decent society to gather round the dreamer and help them to recognize and manifest what soul wants in their life. Dreams also rehearse us for the future, showing us challenges and opportunities that lie ahead. This can benefit whole communities. "Through dreaming, we recover the knowledge of our sacred purpose that belonged to us before we came into our present bodies. Then we can begin to live from our sacred purpose and unite ourselves to the powers of creation. We can also begin to get in touch with other members of our soul families who live in other places and times. "Unless you dream, you’ll never be fully awake. In the Shadow World, we go around like sleepwalkers. In big dreams, we wake up." I wrote The Dreamer's Book of the Dead because what happens after death is far too important for us to rely on hand-me-down beliefs and second-hand accounts. We need first-hand knowledge. We get that by visiting places where the dead are alive, and by receiving visitations from those who have departed this world. Both ways of knowing are opened, easily and naturally, in dreams. 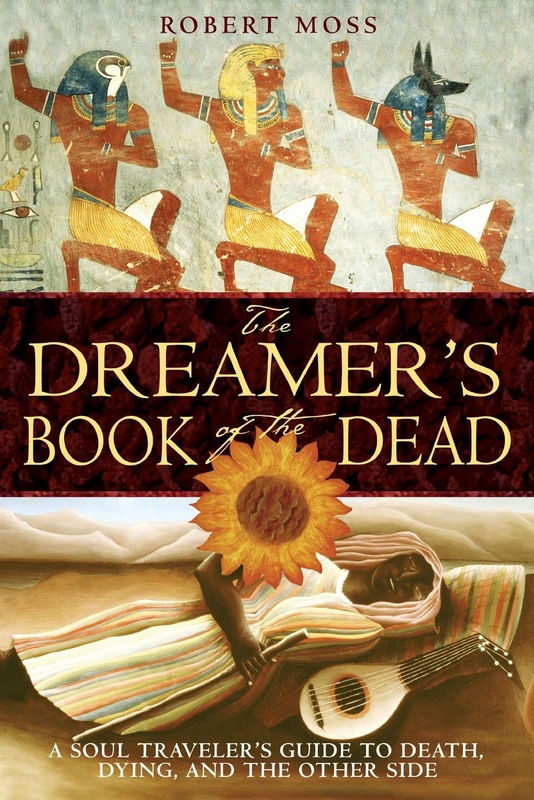 The Dreamer's Book of the Dead helps you confirm that healing and forgiveness are always available across the apparent barrier of death and that departed loved ones and ancestors can become family guides and counselors. 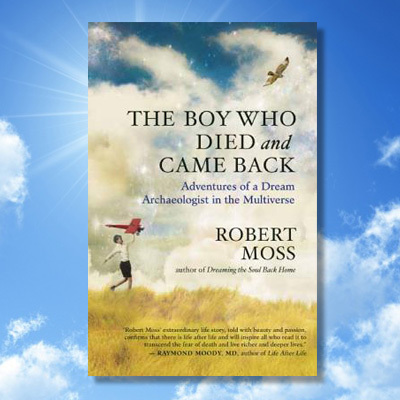 It offers practical guidance on how we can help the deceased when they are stuck or confused and how we can assist the dying to prepare for death by opening to their dreams. You'll learn how to call in spiritual guidance and protection and embark on a journey to the Other Side for helpful and timely communication with someone who resides there. "It is never too early or too late for us to brave up to death and discover what happens on the Other Side. As Montaigne said, 'We do not know where death will meet us, so we must be ready to meet death everywhere.' When we are willing to meet death as an ally instead of a dread, we find we have superabundant energy for life and can approach our life choices with the courage and clarity that a close encounter with death may bring." 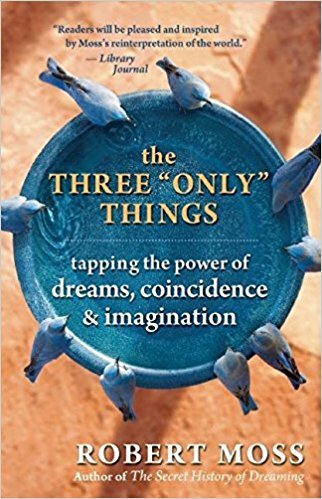 The Three "Only" Things celebrates three powerful sources of guidance and energy for life that we too readily dismiss as "only" this or than: dreams, coincidence and imagination. It contains instructions for the Lightning Dreamwork Game,an original fun, fast four-step technique for sharing dreams and life stories in a safe, mutually supportive way that leads to positive action. It also contains the Nine Rules of Coincidence - guidance for navigating life passages through synchronicity. The book is easily accessible and a good one to recommend or gift to someone who is just putting their toes in these waters. "The blocks we encounter on our roads - whether they are in ourselves, in our circumstances, or both - may be teachers and helpers, as well as part of life's cycles. A block can drive us to discover a new direction, spur us to develop new skills and courage and stamina, or lead us to look again at what really matters in life. ‎"I've come to believe that some of the blocks and setbacks we encounter in life are placed on our paths but our Gatekeeper to save us from compounding mistakes, to make us take a longer view of our issues - and encourage us to shift direction and notice better options." We learn how a dream led directly to one of the biggest oil finds in history, how Mark Twain’s life was guided by coincidence and how Harriet Tubman was able to guide escaping slaves to freedom on the Underground Railroad because in dreams she could fly like a bird. We follow the amazing dream-infused creative collaboration between Carl Jung and quantum physicist Wolfgang Pauli as they track the interweaving of mind and matter revealed by synchronicity. "While archaeology is often understood to be the science of unearthing and studying antiquities, the root meaning is more profound: it is the study of the arche, the first and essential things. The practice of dream archaeology requires mastery of a panoply of sources, and the ability to read between the lines and make connections that have gone unnoticed by specialists who were looking for something else. It requires the ability to locate dreaming in its context - physical, social and cultural. And it demands the ability to enter a different time or culture, through the exercise of active imagination, and experience it from the inside as it may have been. These are the skills we need to excavate the inner dimension of the human adventure." I wrote Dreaming the Soul Back Home to offer ways we can become shamans of our own souls and healers of our own lives. The greatest contribution of the ancient shamans to our medicine and healing today is the understanding that in the course of any life we are liable to suffer soul loss - the loss of parts of our vital energy and identity – and that in order to be whole and well, we must find the means of soul recovery. Our dreams give us maps we can use to travel to where soul that was lost or stolen can be found and brought home. The ancestors come seeking us through dreams and how, through conscious engagement, we can heal ancestral wounds and open the way for cultural soul recovery. "As dreamers, we can move outside time. As a time traveler, you can journey to a younger self in her own Now time. As a voice in her mind, you can provide the encouragement and counsel she may need at a time of unbearable pain or challenge. You can be the friend and protector she lacked when her need was great. From this can flow tremendous healing for both of you — for you in your present time and for her in her own time." Active Dreaming is a way of being fully of this world while maintaining constant contact with another world, the world-behind-the-world, where the deeper logic and purpose of our lives are to be found. 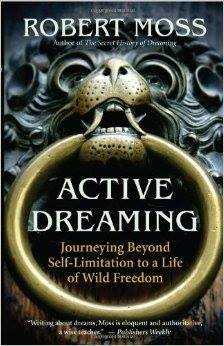 Active Dreaming is a discipline, as is yoga or archaeology or particle physics. This is to say that there are ascending levels of practice. In any field, the key to mastery is always the same: practice, practice, practice. * a method of shamanic lucid dreaming founded on the understanding that we don’t need to go to sleep in order to dream. The easiest way to become a conscious or lucid dreamer is to start out lucid and stay that way. *a way of conscious living that encourages us to reclaim our inner child, and the child’s gift of spontaneity, play and imagination. It is about navigating by synchronicity and receiving the chance events and symbolic pop-ups on our daily roads as clues to a deeper order. "To understand dreams and reclaim the practice of imagination, we must look to the master teachers: our inner children and the children around us. When very young, children know how to go to magic kingdoms without paying for tickets, because they are at home in the imagination and live close to their dreams. When we listen, truly listen, to very young children, we start to remember that the distance between us and the magic kingdoms is no wider than the edge of a sleep mask." The title of my spiritual memoir The Boy Who Died and Came Back derives from what a doctor said when I first died in this lifetime. I was three years old and was pronounced clinically dead from pneumonia. When I revived the doctor told my parents, "Your boy died and came back".At nine, I died again during emergency appendectomy in a Melbourne hospital. This time I seemed to live a whole life somewhere else, among a beautiful people who raised me as their own. I came back remembering that other life and that other world. The gift of these experiences included an ability to move between states of consciousness and reality at will. My dreams of ancient cultures led me to my first job, as lecturer in ancient history. My dreams of possible future events enabled me to avoid death on the road, quite literally, on three occasions. In the mid-1980s, I moved to a farm in upstate New York, thanks to a hawk and a white oak. 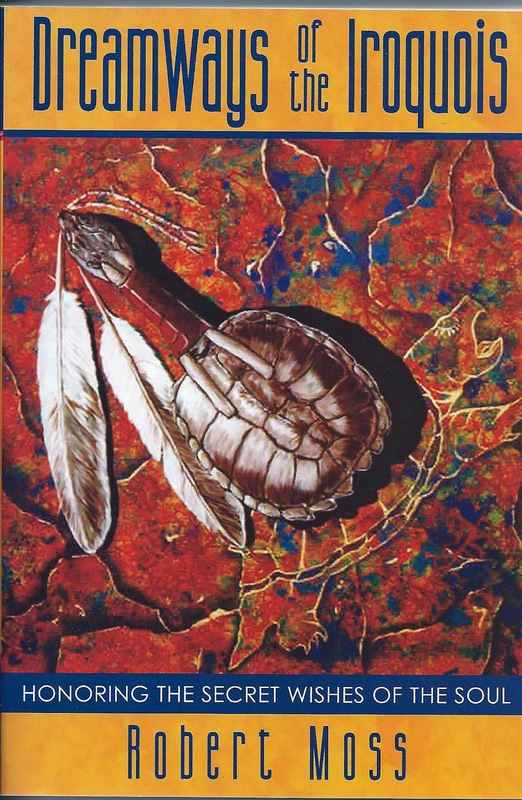 I found myself drawn into trans-temporal dramas and the spirit world of a Native American people. I became deeply engaged in issues and dramas from the life of an 18th century Irishman who knew the Mohawk very well. My engagement with him opened a link to a woman of his time, an extraordinary dream shaman who tried to influence him and most certainly succeeded in influencing me.I learned what it means to be so deeply involved with a personality from another time that your lives turn together. I was eventually required to undergo death and rebirth in the mode of a shaman. I see now that, as with the years Jung recorded in his Red Book, all the important work of my subsequent life has flowed from this stormy period of spiritual emergence. "To live well, we must practice death. We bring courage and clarity to life choices when we are aware that death is always with us, and that we should be ready to meet it any day. "We have a guide for our lives who is no stranger. He is always with us and does not judge us. This is the Self on a higher level. When we rise to the perspective of the Greater Self, we are able to make peace between different personality aspects, including our counterparts in other times and parallel realities. "We are at the center of all times. The dramas of lives being lived in other times and in parallel realities may be intensely relevant to understanding and navigating our current relationships and life issues. We can learn to reach into those other lives to share gifts and lessons. We can dialog with our own older and younger selves within our present lifetimes. "We must entertain the spirits, starting with our very own – the child self, the inner artist, the passionate teen, the animal spirits, the creative daimon." Navigating by synchronicity is the dreamer's way of operating 24/7. I invented the word kairomancy to define the art of divination by special Kairos moments when the universe gets personal. 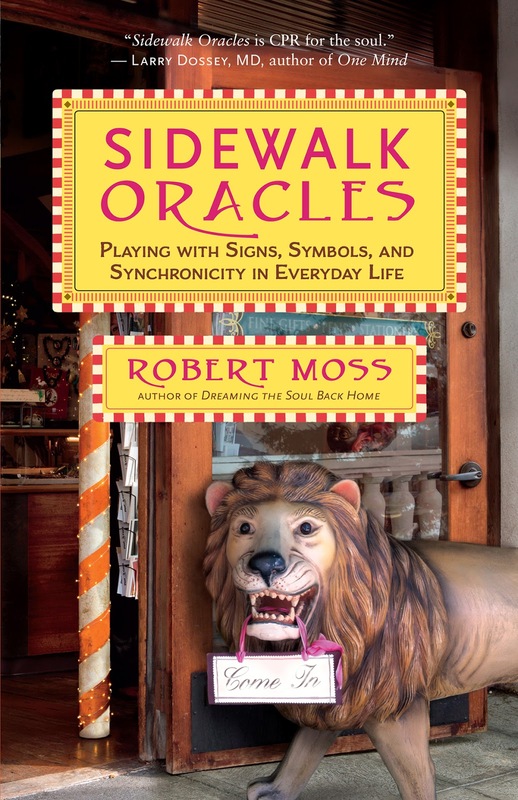 Sidewalk Oracles is a book of games and stories designed to prepare you to approach life as a kairomancer, poised to find the extraordinary in the ordinary and to seize on special moments of opportunity. We need to be more literal about dreams and more symbolist about everyday life. Living by synchronicity isn't merely about getting messages. It is about growing the poetic consciousness that allows us to taste and touch what rhymes and resonates in the world we inhabit, and how the world-behind-the-world reveals itself by fluttering the veils of our consensual reality. This is a path of natural magic, and when we follow it we'll find that we move beyond self-limiting beliefs into a world filled with juice and possibility. The traveler’s tales in Mysterious Realities are "just-so" stories in the sense that they spring from direct experience in the Many Worlds, my own and that of other dream travelers who have shared their adventures with me. This territory is more familiar to you than you may currently realize. You are a traveler in your dreams, whether or not you remember them. You visit realms where the dead are alive. You travel into the possible future, scouting the roads that lie ahead. You travel into the past, into scenes from your present life, and other lives that are part of your story. You slip into parallel lives, where your parallel selves are moving on different event tracks because they made different choices. In dreams, you may check in to a parallel life you are leading somewhere else. When you exit a scene in a life you are leading somewhere else, you may or may not remember where you were and who you are in that other world. When you do remember, you tag what lingers in your mind as a dream. In Mysterious Realities, you’ll confirm that the doors to the Otherworld open from wherever you are. You’ll see what it means to live on a mythic edge. At any moment, you may fall, like the author, into the lap of a goddess or the jaws of an archetype. Are you ready? A survival tip: don’t go to any world without your sense of humor. Dearest Shane, I dream you as the leopard. Last night you came to me in his skin. So, in the voice of one of his lovers, we first encounter Shane Hardacre, the narrator and protagonist of Fire Along the Sky. An eloquent Anglo-Irish rake and fictional kinsman of Sir William Johnson, the King's Superintendent of Indians, Shane comes to the New World from London because of a doubtful wager. "I laid money on whether a man would take his own life," as Shane informs us. 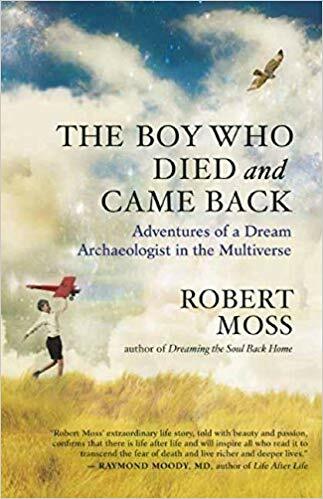 That man was Robert Davers, a Norfolk baronet who sought to escape melancholia and learn the nature of the soul among the dream-catchers of North America. He ignored Johnson's caution that "if you go looking for the spirit world of Indians, you will find you are already inside it" and found savage death during the Pontiac revolt. We enter the extraordinary world created by William Johnson in the Mohawk Valley in the aftermath of the French and Indian War, in the time when America was forged. We meet extraordinary historical figures: the warrior chief Pontiac and the Delaware Prophet who inspired his revolt; Angelique, the "Pompadour of Detroit"; Molly Brant and her brother Joseph; and Patience Wright, the "wax sybil," an American spy in London who rivaled Madame Tussaud. The action races from the notorious Hell-Fire Club in England to the murder of Pontiac near St. Louis, from Mesmer's performance for Ben Franklin in a Paris salon to bigamy and intrigue in New Orleans when an Irish captain-general held the city in the name of the Spanish king. 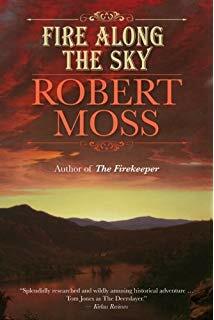 Fire Along the Sky is grand entertainment that carries lightly a wealth of original research summarized in the copious notes "from the editor." 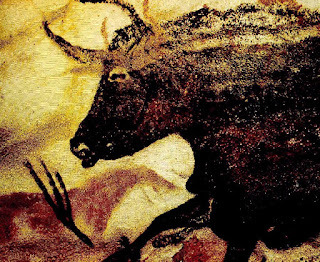 Through the narrator's worldly skepticism, we are given a window into the shamanic dream practices of early Native Americans. The voice of Valerie D'Arcy, in the correspondence interwoven with Shane's narrative, provides a knowing woman's counterpoint to Shane's phallocratic assumptions. This is the big historical novel I was able to produce when I had integrated enough of my wild convergence with the dramas of another life on the colonial New York frontier. I read all the documents relating to the life of Sir William Johnson, King's Superintendent of Indians - and before that, an adopted Mohawk war chief - and walked the landscapes of his boyhood in County Meath and his fields of battle in the time of the French and Indian War. I dreamed with the Mohawk clan mother who tried to influence him, and with her granddaughter, the only woman who came close to taming Billy Johnson. The Firekeeper brings alive the world in which America was born, when the clash of empires produced the first worldwide war and Albany, New York, was the Casablanca of the age. 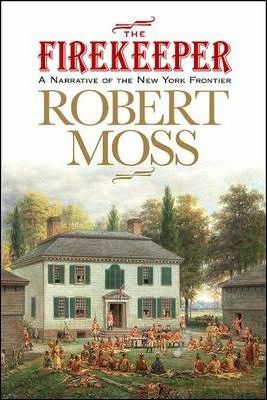 Filled with great men--George Washington, Benjamin Franklin, the Mohawk Hendrick Tehayanoken--and the battles that opened the way for the American Revolution, The Firekeeper follows the exploits of Sir William Johnson, an Irish adventurer with a rage for life, who created a tribal kingdom on the New York frontier. Johnson defended the First Peoples against white men who were bent on genocide and led the Mohawks into battle on the English side in the French and Indian War. 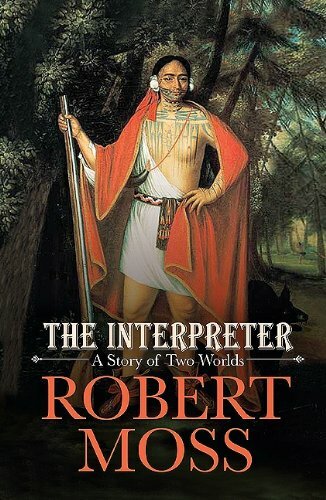 His story is interwoven with those of three extraordinary women: Catherine Weissenberg, the Palatine German girl who fled the wars of the Old World to make a life with Johnson in the Mohawk Valley; Island Woman, a Mohawk shaman and mother of the Wolf Clan; and her granddaughter, known to history as Molly Brant, the only woman who managed to tame Johnson. With Island Woman, we journey deep into the dream practices and ways of healing of the Onkwehonwe, the Real People, and through her The Firekeeper also becomes the indelible story of a native people's struggle for survival, and of how dreaming can bring the soul back home. "I am in London, in the time of Queen Anne. I smell the stench of the streets. I am with the Mohawks now. They are being taken to another entertainment, an evening of bear-baiting at Hockley-in-the-Hole. Vanishing Smoke is Bear Clan. I feel his deepening grief and rage as he watches the sport the Englishmen have devised. The handlers have chained a brown bear to a pole in the center of the ring. Attack dogs are released to snap and tear at him. As the bear tries to bat them away, people are placing bets on which dogs will survive. The bear is old and tired, and bleeding. He wants to leave this life of torment. As he watches, the Mohawk’s hands tense, his fingers curl like raking claws. He makes that little coughing sound that bears make when they are getting really mad. The crowd is going wild because the bear has found the strength to pull the great pole out of the ground. It bangs behind him as he swats the dogs away. The Mohawk steps into the ring. He takes his knife from his waist band and stares into the anguished eyes in the dish-round face. He addresses the bear as Grandfather. “Grandfather, I ask your permission to free you from this life.” He reads the bear’s consent, and sinks his knife into the bear’s heart. He tells his court escorts that the bear must be buried facing the east, so he will be reborn in the right way." 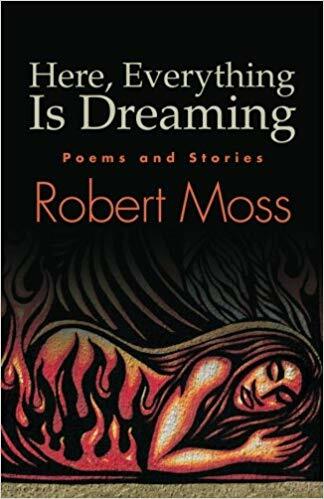 The poems and stories in Here, Everything Is Dreaming stream directly from dreams and shamanic adventures in the world-behind-the-world. Our earliest poets were shamans. Today as in the earliest times, true shamans are poets of consciousness who know the power of song and story to teach and to heal. They understand that the right words open pathways between the worlds and draw closer the gods and goddesses who wish to live through us. I hope to transport you into a reality where everything is alive and conscious, where tigers and bears can lend you their forms and raven and hawk can give you their sight, where the ancestors are talking, talking, and the gates to the Otherworld open from wherever you are. You may awaken, through these pages, to how shamans use poetic speech to call the soul back home, into the bodies of those who have lost vital energy through pain or trauma or heartbreak. You'll travel to the Island of No Pain where lost boys and girls are kept safe. And you'll learn to make the return journey, and sing the lost soul back into the body where it belongs. Thanks to Meredith Eastwood for the group portrait of the family of books introduced here.